This is episode number 152. It’s all about getting PR through podcast appearances. Our guest is Jessica Rhodes. She’s the Founder of Interview Connections, a guest booking agency for podcasters and guest experts. She also co-hosts the Podcast Producers and Womensplaining. Jessica has been a featured speaker at Podcast Movement, Podfest and Dream Business Academy. Jessica, it’s great to have you on the show. Thank you so much for having me on. I’m so excited. Explain what your business is about because it’s pretty unique. Public Relations firms are all over but you’re a different kind of company that gets different kinds of results for your clients. Could you briefly describe it? We are a non-traditional PR firm. We focus only on podcast interviews. We represent entrepreneurs, business owners and subject matter experts to get them booked on podcasts that are speaking to their target audience with a goal to build their brand, to raise awareness about what they do, and deliver content to their target market. It ends up being a great strategy for lead generation and SEO. I talk about SEO a lot on my sales calls with people because that’s usually not the first thing people think about when they want to get interviewed on podcasts, but SEO is a huge benefit for podcast interviews. We’ve been around for over five years now and it’s funny because even people that have known me for a while were like, “You haven’t branched out to other media outlets.” We’re super focused on podcast interviews and that’s what we do. What has been one of your biggest wins as far as either a client or you personally getting on a huge show or getting a huge outcome from a particular podcast appearance? There’s definitely a lot. I’ve got clients like Richard Chapo, who’s an internet business lawyer. He’s been working with us for years and he has something like a 450% return on investment. He sticks with this strategy because every so often, he gets a client. Podcast interviews are a great strategy when the lifetime value of a client for you is super high because the investment of getting interviewed is so low that it works well for that, so he gets a lot of clients. A specific example is Tanya Conner-Green who is a business coach. After working with us for a few months, she had been on about five podcasts and one of the hosts of the show interviewed her and was impressed by her knowledge about Facebook marketing. That host became her coaching client and hired her to do a paid training for her clients. Our client, Tanya, got about $18,000 in revenue within the first few months and that was from a host connection. I love that story because a lot of people get caught up in wanting to be on these big shows and being in front of hundreds of thousands of people when in reality the biggest returns on investment that we see come from the relationship people have with the hosts who are interviewing them. Is it much more effective to get these interview opportunities if you have a podcast yourself or is it as good if you don’t have your own podcast? It definitely helps if you have your own podcast. I had a call with somebody who was thinking about investing and getting interviewed. He had been on about five shows. One of the strategies for him was that he was also interviewing those hosts on his podcast. Each interview opportunity was an interview trade. It definitely helps if you’re getting started with getting interviewed and you have your own show, you can be inviting those hosts onto your podcast. That’s an offer that you can give them, like offering to go on their podcasts and interviewing them on yours. I love that. I wrote a book about podcast interviews and I talk about rocking the podcast from both sides of the mic because you have the opportunity to get to know the host as well as they get to know you. It’s funny that you reach out to me to be interviewed here because you’re on my list of people to invite on my podcast to talk about SEO. That’s not even something I just thought of. We’re coming up with our content marketing calendar for the rest of the year and SEO is such a big thing that we talk about with our clients and you’re the first person that came to mind. We put it into practice here too. It’s been a while that you’ve been on my list. I have my own Google sheet of guests that I want to have on and you’ve been on there for a while. It takes a while for me to get around to. I’ve got 200 different names on that sheet and it keeps growing. I’ve had great success working with you and so as my wife, Orion. For example, you got me on to Built to Sell Radio. I had not even had heard of that book, Built to Sell, which is a big book. It’s a big deal. I haven’t even heard of it, then you got me this opportunity. It’s great and it’s outside of my normal sphere so I can easily hook up to other SEO people at conferences like Pubcon and Search Talk Live like, “I’d love to be on your show.” I have been on that show multiple times, but to have something that’s not even on my radar presented to me on a platter like you did is awesome. How do you find these outside-the-box opportunities? It’s not just a simple Google search. Part of it is the amount of time. These five-plus years that we’ve been doing this, we’ve built up this intel and this knowledge about all these different shows. It’s a great example too because you probably would never think, “I’m going to go on a tour to tell everyone about the business I sold,” because it’s not the primary thing that you talk about all the time. It’s such a great opportunity because a show like that, Built to Sell, John Warrillow also has a column on Forbes. He’s putting his episodes on his Forbes blog and then you’re getting linked on Forbes, which is awesome. It’s not just a podcast interview but you’re also getting a backlink on Forbes.com, which is amazing and people love that. These podcasts can lead to other opportunities for exposure as well. It’s unfortunate because Forbes contributors were selling their souls to anybody with a few bucks that Forbes and other sites like that decided that they’re going to not follow their external links, that they’re not going to trust the free contributors. If they’re staff writers, no problem but even if the site has not instituted a policy of no-follows, like Forbes has, there are plenty of sites that Google knows that there’s something fishy going on. This is not saying that John is doing it but there are other people that are doing this, ruining it for everybody. I got this great Forbes link and it doesn’t amount to a hill of beans or Entrepreneur.com or something along those lines. Definitely, the game has changed and unfortunately, some people have ruined it for all of us. It’s something to keep in mind and even though it’s a no-follow link, it still can derive a business value for you though. You’ll get a link potentially from Wikipedia article and those are all no-followed, but yet you could end up getting a huge deal out of it because you are encyclopedic, you’re the reference or the external site that is listed in an important article for your topic. It’s saying as mentioned in and leveraging the fact that you were on an article on Forbes, Entrepreneur, even if the link was a no-follow link, there are other ways. You can screenshot it and maybe put it on your blog that you are linked there. That’s what we’ll have to talk about on my show when you come on. It depends on who you’re trying to impress because if you screenshot yourself on New and Noteworthy and you send it to me, then I probably will not care very much because I am not super impressed by that. They stopped updating the Business New and Noteworthy section. It’s been the same eight people at the top of New and Noteworthy for over a year. 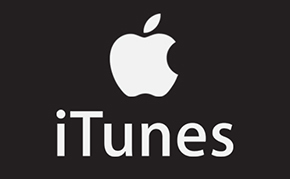 If you are trying to impress people that don’t know a lot about iTunes, then you might impress the right people. If it works for you and it helps build you up to your target audience, there’s no harm in it. I don’t think it’s the biggest bragging right that you could get though. One pitfall people make a lot in podcasting is trying to focus on fame rather than on the results you are seeing in business. What would be some better bragging rights that you could focus on as an outcome? It’s important to be outcome-focused in any activity. I’m going to go get some bookings to be on podcasts, I’m getting interviewed. What’s my outcome that I should be going after? My business coach, Ali Brown, always talks about going for fortune over fame. One pitfall people make a lot, especially in podcasting, is trying to focus on the fame and how high up you are in the ranking stuff like that. What I would focus on is more of the results that you are seeing in your business. People can fake their way into having a big audience, but I know there are lots of people that have a huge following that are barely paying themselves any money and that’s not who I want to learn from. When we work with our clients on positioning and building up their bio and how to pitch themselves and show that they’re valuable, it’s focusing on the results they’ve seen in their business, the kind of results they’ve helped their clients see and the kind of results that they’ve helped their listeners achieve from the content that they’ve shared. For example, in my own bio, I talk about how I’ve scaled from zero to the high six figures, we will break into the seven-figure mark with basically no advertising. We literally just started paying for advertising. Giving that result, I don’t have 10,000 people listening to my podcast or even on my email list but I have a very successful business and I’ve got those results to show for it. That gives me more credibility than just talking about being number one in iTunes, which I’m not either. Giving tangible results and if you’re talking to business owners, results that they care about, revenue, profit, building a successful team, client retention, employee retention. It’s talking about stuff like that as opposed to how much fame or attention you’re getting. Most smart entrepreneurs know that you can fake your way into being a bestseller. You can buy 100,000 of copies of your own book to be at the top of the bestseller category, but that doesn’t show how much money you’re making or how successful your business is. How do you get employee retention and customer retention out of being interviewed on podcasts? I’d love to hear that. First, I’ll talk a little bit about client retention. Podcast interview is a great strategy for retaining clients. My strategy goes back to looking at and thinking about what information that my clients want to know about. On my own podcast, Rock the Podcast, we think about the episodes that we’re going to produce, the interviews that we’re going to do around who are our clients and what information do they want to know. 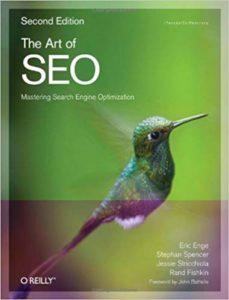 Circling back to bringing you on to talk about SEO, I know that’s something that I want to teach my clients. 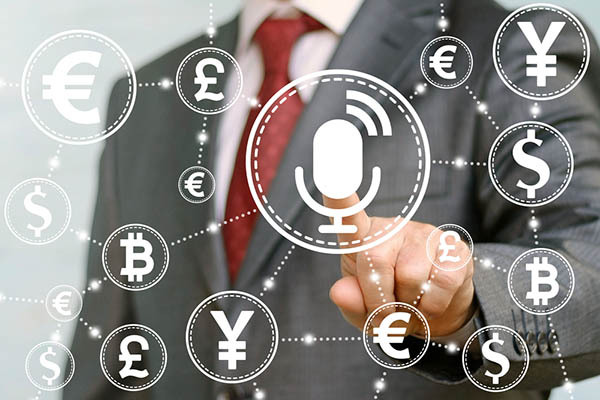 It’s something that I want to teach people that are thinking about working with us about the benefit of SEO and how you can achieve that through podcast interviews. I create podcast episodes that are going to help my clients. Then I go on podcasts as a guest, as a way to share valuable information that’s going to give my clients more value. It creates the stick factor because when my clients see that I’m an expert and when they hear me and when they see me practicing the strategy that I’m helping them implement and showing that it works, it helps them stay with me longer. It’s great for client retention because when I go on a podcast, if I’m going on a couple every month, it’s great for lead generation. Usually at least one person from a podcast will reach out and say, “I heard you on this show.” That gives me a story that I can bring to my clients and say, “I’m doing this right alongside you and here’s what I’m seeing, here’s what’s working.” It gives me a way to bond with them and to share them my strategy and how it’s working for me and that helps them stay with me longer. One of my clients, Income Store, and their CEO and Founder, Ken Courtright, has his own podcast. He constantly refers clients, potential business partners, potential investors and so forth to a couple of foundational episodes of his podcast. It’s like, “You’ve got to listen to this episode before we jump on a call together.” He had me listen to that episode. It was on Stacking S-curves. It was the very first episode of his Today’s Growth podcast. It was good and it really established his authority and how innovative he is and his thought processes. It was not something I had heard before about Stacking S-curves and I didn’t even know what that meant until listening to that episode. I could definitely see how this can help your clients in educating them and keeping them on the cutting edge of things and helping to further build that bond. I’d love to hear also what you think the employee retention opportunity is here. Podcast interviews are definitely a bigger benefit for client retention. It’s similar to employee retention. We’ve got seven full-time W2 employees in our office. I like doing podcast interviews because it helps me stay in the trenches of what they’re doing every day. Every day they’re researching for shows, they’re pitching podcasters. 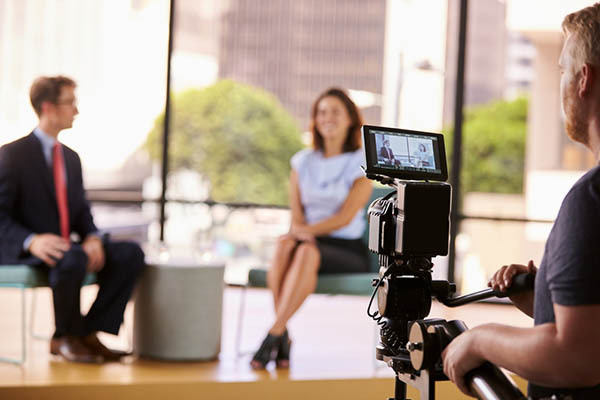 When I’m going out there and getting interviewed on shows, usually it’s a host that has either gotten a pitch from us or has booked some of our clients and I can talk to them either before or after or during the interview about the experience and about how are our clients and stuff. I can get that feedback right back to our staff members and to stay connected with what’s happening in the podcasting industry and what the host that they’re communicating with the email, pitching our clients. I also know some of my employees listen to interviews that I’ve done. It’s helpful for them to hear my story because I like to think that everyone is reading all about me before they become an employee, but that’s likely not the case. If I’m interviewed and I send it, they can learn more about the history of the business. We hired two new booking agents here and they’re brand new, so by getting interviewed on a podcast, maybe sending it to them here, they can learn about the history of the business that you started working for. It’s nice because our employees love working here because it’s a new business. It’s exciting, it’s not just being a number in a big corporation but they’re part of something special, not to be cheesy but to share the story with them and help get them involved in the culture. Part of that we can do through podcast interviews. The difference between using your own podcast as the vehicle versus other people’s podcast that you are a guest on is they will ask questions you have never thought of asking yourself or disclosing things. It will give a layer of vulnerability, openness and authenticity to you that you might not present on your own podcast. I’ve been on Podcast Junkies as a guest for example and we got deep into spirituality and stuff. People listening to my other show, The Optimized Geek, will get a sense for my spiritual connection. That’s not every episode, that’s only maybe one out of every ten episodes or fifteen episodes. All the time we’re talking about biohacking and productivity and other very down to Earth things. They might get a little of my spirituality, but very little. In that podcast episode on Harry’s show, we went deep down the rabbit hole. I could send that to a potential employee or a potential contractor who’s thinking of working with me and they get a whole sense of who I am. We have a podcast called Womensplaining. Margy, my business partner, and I do that together and we bring on guests. We do some episodes and similar to Podcast Junkies, we get really deep. I’ve talked openly about times that I felt depressed or I’m stressed and that’s something that we would never bring on Rock the Podcast. That’s not what that show is about. With Womensplaining, it shows us raw and real and we’ve had our staff members listened to that. We don’t tell them to, but they have the opportunity, it’s available to them. It helps them get to know us because we’re all working all day. We’re not just sitting around talking about our lives. It’s a nice way to be real and vulnerable and let people get to know you. I love that name, Womensplaining. How did you come up with that? One thing that you use as an important tool in your business for getting your clients booked on other shows is a one-sheet. Can you describe what this one-sheet is and why it’s important? One-sheets are super important. Everyone should have one if they’re going on podcasts as a guest. Even if you don’t have an agency representing you, just make yourself a nice one-sheet. A one-sheet is a one-page PDF. It’s well-designed, it has your branding and your logo. Work with a graphic designer to create it. What it’s going to have on there is your bio written in third person, long enough so it gives all those bragging rights and the main points that build you up, but short enough where the host could easily read that as an introduction to their show. You don’t want it to be in the first person. You want it to be in third person. It has your bio interview topics, three to five topics. These are bullet pointed. They’re not phrased as a question because each topic could have a bunch of suggested questions below it and the host could choose, “I want to talk about this or this or this for the episode,” and then suggested interview questions, which are what they say. That’s a specific question that the host could read and I love it because I’ll sometimes be on a podcast and most of the host will come up with their own questions, but then I’ll hear one from the one-sheet and it’s totally natural. The listeners aren’t going to know that they suddenly went to my one-sheet. I love that because it shows that it was helpful to them and it gave them another question to ask in addition to what they wanted to talk about. It has your contact information, your website, social media links. Skype name is important because most interviews, I would say, are connected on Skype and so you want to give that to the host. You use this one-sheet when you’re pitching podcasters and when you’re booked on a show, make sure that they have the one-sheet, so they are prepared. 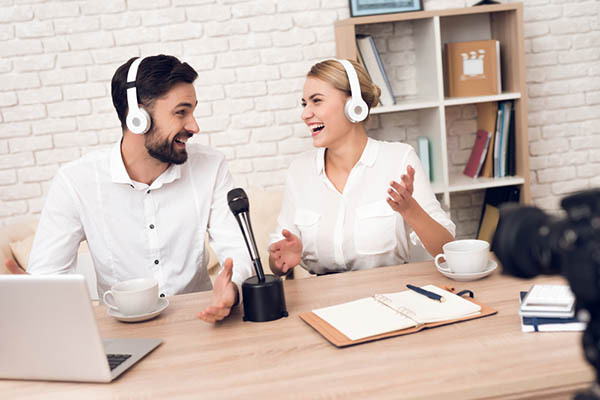 It shows podcasters, “Here’s what we can talk about, here’s what an interview could be like with me.” It shows them the valuable information that you have and then it also allows them to be instantly prepared to interview you. As a guest, you want to make their job super easy. 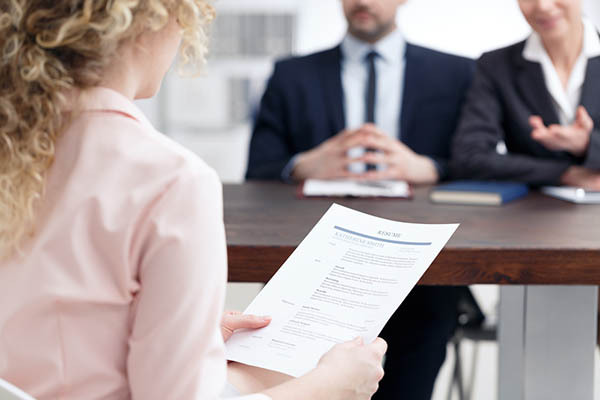 A one-sheet shows interviewers the valuable information you have while allowing them to be instantly prepared to interview you. What is your position on using Skype as the channel or the vehicle to do the interview? Is it better perhaps to use Zoom or Zencastr or Ringr? To be honest, I have not found one that I love. Every way that we’ve connected with a guest has had its downfalls. Skype is the one that most people already have. I like Skype because the call recorder that you get with Skype has better sound quality than the call recorder within Zoom. If you’re recording your podcast in Zoom, I would highly recommend that you stop and you find some other way because it doesn’t sound very good. With Skype, the call recorder, at least the Ecamm that I have, it has a way to export separate tracks and a podcast producer can work with that a little bit more to make it sound better than just the one-track Zoom recording. Zencastr is ideally great because it’s recording each side locally but there have been some glitches where it gets dropped or there’s a disconnect. I’m still waiting to find that perfect solution. What we’ve been doing on our show sometimes is we will ask the guest, “Can you record your end on QuickTime? We’ll record ours on QuickTime. Can you send it over to us?” That’s the best-case scenario if they can do that because then we can produce a double ender. It sounds like we’re in the same room. Some people are like, “How do I do that?” You want to make it easy for your guests but still, try to have the best quality. That’s a great tip to use QuickTime on the guest’s end as well. I did an interview with Sharon Lechter and it was a great episode. She’s the co-author of Rich Dad Poor Dad and also she is the editor of Outwitting the Devil, that Napoleon Hill book that didn’t come out until 70 years after his death. It was a great interview and there were some internet connectivity issues. She thought she was recording on her end too just to be safe because I had asked her to and she got her tech person to help with that and it didn’t actually save. I had no recording on her end. I had to rely on my recording both sides. We do have two-channel recording that’s automatic and in-call recorder that does two channels. One thing you mentioned was Zoom does one channel by default. Two channels are very important for the audio editor to be able to change the volume of one track versus the other. If one person is not close enough to the mic or has a lousy mic and need some editing of their audio. You don’t have to mess around with doing separate bits and pieces on one track, you do the entire track if you have two tracks. Zoom has a setting where you go in and you tick a box that says record both tracks separately. I’m definitely going to edit that. We will use Zoom a lot and use it to connect with the guests but then ask them to record. We did do one interview and then at the end we’re like, “Can you send us that?” She goes, “Sorry, I never started the recording. I thought we were going to do a separate thing.” We ended up using the Zoom recording. We were recording our end on a Zoom H6. We had our side sounded good and so we had to use the Zoom for her. If you’ve got a good producer and editor, you can usually make any setup sound good enough. Zencastr supposedly has this all figured out for you where they record locally on both sides and then upload right within the browser automatically once the recording is finished. It uploads that recording file for the host. In theory, that’s awesome but sometimes it’s clunky and it doesn’t work right. I tried it a few times and then I started getting glitches and issues like, “I’m done with this.” That was a while ago, maybe it’s gotten better. Let’s talk about some other things that will make the appearance on a podcast more effective. Having a one-sheet is great for getting on the show and it’s great for getting some of your ideal questions. The softballs inserted into the episode nonchalantly. Also if you want people to end up joining your email list or opting-in for some cool freebies that those freebies then maybe lead to an inquiry or a sale, what would you recommend as the best practice to get the listeners to opt in for some free gifts and what kind of gifts? My advice is a little bit nontraditional than what you’ll hear from a lot of marketing experts. I don’t necessarily think that content opt-in is always the right solution. It depends on how well your email marketing works for you. 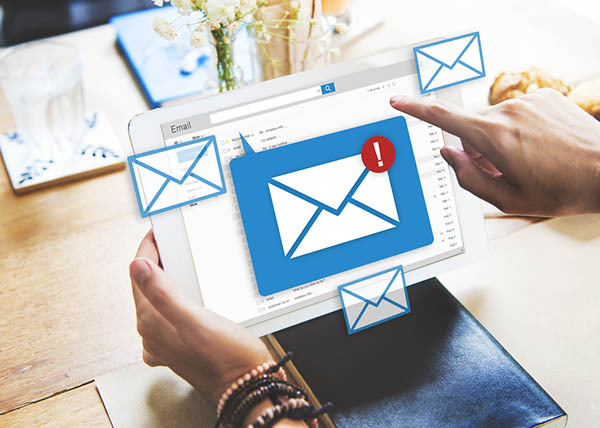 If you have a great email marketing system, you have a funnel that works, you know that once people get on your email list, you can convert them, they stay engaged. 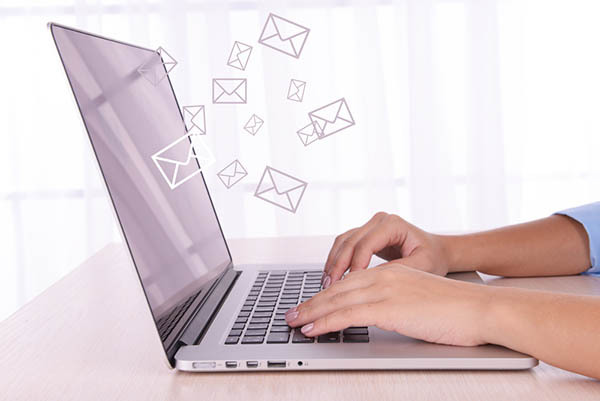 Then get a content marketing like an opt-in with a lead magnet, going out to the email. This is always the right call to action when you’re a guest on a podcast. You really have to think about what your goal is and how you successfully convert people into becoming a client. If you know that you have an email marketing funnel that works, you know that once people get on your email list, you can nurture them into a client, then definitely get a landing page with a great headline. It converts well, gets figured out what lead magnet is going to, get people to opt-in and do that. The lead magnet can change. For some people it’s a white paper, for some people it’s a webinar. Honestly, whatever works for your business and whatever your target market wants, do that. For me, I’ve experienced it differently. Opt-ins, lead magnets, email marketing has never been the game changer for me. It’s never driven the most business. Most of my clients were not on my email list prior to becoming a client. I’ve put very little focus on building my email list. I typically don’t have a free giveaway or a lead magnet at the end of an interview. I pretty much give up my website, which is funny because a few years ago I wouldn’t have said that. I was telling everyone, “Get a lead magnet, get a landing page.” I don’t think that’s the advice that works for everyone. I’m running LinkedIn ads right now that goes to a landing page where people schedule a call with me and that has been working phenomenally. For my target audience, for the people that would hire Interview Connections, they don’t want a report. They don’t want to sit through a webinar. They know they want to do interviews and they don’t want to figure out how to do it themselves. Getting them on a call with me as soon as possible is the way that I get clients most successfully. You’ve got to look at your business, you’ve got to look at who your target market is. Do they want to sit there and read a report or are they’re like, “I want to talk to you and figure out how you can do it for me?” It’s whatever your call to action is, it depends on what your goals are and what your clients want to do. Let’s talk a little bit more about LinkedIn ads. What’s the formula that you figured out? How much are you spending? What kind of ads are you running? What’s the offer and all that? We started using LinkedIn ads. We’re working with AJ Wilcox. I don’t know if you’ve interviewed him but if not, you should get him on here because he is awesome. I tried Facebook advertising for a second. I remember when I tried Facebook advertising, the person doing it for me was like, “The first month is basically going to be a wash, it’s all testing, you’re not going to get anything.” That was my expectation going into LinkedIn advertising. I was like, “The first month is probably going to get us nothing.” That is not true. It has been successful from day one. We are targeting coaches, consultants, business owners. AJ’s company basically set up the campaign after we did a couple of calls for us telling him about our business and our clients. An opt-in with a lead magnet going out to the email is always the right call to action when you are a guest on a podcast. They set up the campaigns and then I would log in and double check. There were some that I was like, “We don’t want to target this group,” I would fine tune it. Think about all these different factors. The image is a picture of me getting interviewed. It was at a podcasting conference. It’s a photo of me getting interviewed at somebody’s booth. It’s two people with the microphone so it’s like in action. The headline, it’s something like, “Build your brand using podcasts interviews. Chat now to see how this can work for you.” It’s basically leading to a landing page where the landing page is a couple of paragraphs about interview connections. It has a photo of Margy and me in a podcast studio and my scheduler is embedded on that page. Right on that landing page, people schedule a call with me. They’re not going onto my email list, they’re actually scheduling a call with me. Every single day I’m getting at least one or two people that have gotten on my calendar. Less than a month in, we’ve already gotten a new client from LinkedIn ads and I’ve got tons of people scheduling calls. It is working very well. Are you doing retargeting so that people have come to your website now start seeing your LinkedIn ads when they go to LinkedIn? I don’t think we’ve started that, but that’s definitely something I want to do that I’ve talked to AJ about. We haven’t even changed any factors. You want to test different images and stuff and we’ll probably start that but so far, it’s been working. We’re like, “Let’s keep it as it is, if it’s working, we’re not going to change it.” Retargeting is definitely something we’ll start doing after probably a full month of the ads being live. What kind of budget, can I ask? It’s about $3,000 a month because we haven’t quite done a full month. After about three weeks, I paid $2,000. That’s ad spent, plus whatever we’re paying to manage it. The management is super reasonable. I don’t know what my expectations were, but when they told us how much it is to manage it, which I don’t want to disclose their rates because people can quote whatever they want to different people, but it’s been super reasonable. The click-through rates are so good that we’re in this new level where we went from first paying per click and now it’s paying per impression. Don’t ask me to explain what that means, but it’s a good thing. The ads are performing so well that we’re in this new category where LinkedIn charges us a little differently so it’s working well. You’ll have to keep me abreast of what’s happening with your LinkedIn advertising. I haven’t done LinkedIn ads myself. 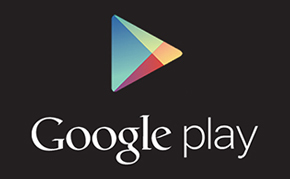 I’ve been doing Facebook ads and we’re going to start doing some Google ads with retargeting for search and so forth. That’s something I’m interested in, so keep me in the loop. I will, it’s been very exciting. One other question I had ruled back to the topic of getting some outcome for yourself as a guest on people’s podcast. What if you wanted to get speaking gigs? Let’s say I wanted to get a TEDx talk, for example. What would be the way that I could get that outcome by getting on a particular podcast? One of our clients actually got a TEDx Talk because of a connection he made on a podcast. It’s definitely possible and this goes back to what I was saying before about leveraging the relationship with the host of the shows. You want to get strategic about who you are interviewing with, not just the target audience of the show but who is the host. Sometimes you can’t say, “I know that this host is going to help get me that connection,” but each time you’re interviewed, you want to make sure that you’re investing in that relationship. Utilize the opportunity to chit-chat with the host before and after the recording and see where that relationship can go. Our client, Dave Sanderson, he was the last passenger of the flight that landed in the Hudson and has since super involved in the movie Sully and stuff like that. He’s done a TEDx Talk. He’s gotten multiple paid speaking engagements in many ways, but a few of them have come from him being a guest on podcasts. He was on one show that went live and a day later somebody reached out to him and were like, “I listened to your interview on that podcast,” and invited him to speak. He was on another show where the host said, “This is great, I know the head of such and such association. You’d be a great speaker for their event. Let me connect you.” You have to be a great speaker. Have a great keynote presentation. You’ve got to do all your homework on the speaking side of your business, but then when you go out and give interviews on a podcast, just be a total giver. Dave is our best example because he’s gotten speaking engagements and I talk about them a lot. He’s like our A-plus student. He’s getting speaking engagements during interviews and he is very open to a lot of different kinds of podcasts. He raises his standards of the kinds of shows he’ll appear on after a few years, but for a long time he would go on just any show. He wasn’t like, “I’ll only be on this show that has these many downloads.” He was going on shows of all sizes and because he had that mindset of being a giver and not being selective, the mindset of an abundance has brought him more opportunities. I had Yann Ilunga on this show as well, and we talked about podcasting and how to maximize that conversation that happens between the host and the guest. We were talking primarily from the host perspective, but this equally applies from the guest perspective. If you have a couple of minutes at the end of the recording to chit-chat before you say goodbye and you’re very intentional with what you want to achieve in that minute or two that you have before you hang up, you can accomplish amazing things. You could get on somebody’s virtual summit, you can get speaking gig opportunities or get who knows what kind of a potential business partnership type opportunities out of those couple of minutes. Just be very intentional. I have gotten speaking engagements, I believe from being interviewed on podcasts and having my own show. I go to FinCon every year, it’s a marketing conference for the financial bloggers and investors and financial planners. When I first came across FinCon a few years ago, I was like, “I want to speak. They’ve got a podcasting track, this is great.” I saw that I could apply on their website. The first thing I did was I’m going to figure out who the founder of that conference is and I’m going to invite him onto my podcast and I’m going to interview him. I did a great interview with him and I asked him, “I would love to speak at your conference.” He said, “Absolutely, apply to speak,” and it was right at the end of them accepting applications. He goes, “The podcasting track is full so probably it won’t work out this year.” It’s okay. I submitted my application anyway. I didn’t speak that first year, but I’ve spoken each year since. I spoke last year. I’m speaking this year. Me interviewing PT on my podcast and staying engaged, making sure that every time I see him at a conference I go up and talk to him, that has helped. That all started because I reached out to him and had him on my podcast, gave value, gave him exposure to my audience and then kept up the relationship from there. You want to get strategic about who you are interviewing with, not just the target audience of the show. Let’s say that you are a podcaster and you’re getting on other people’s shows as well, and you want as an outcome to get more listeners for your show from the listeners to that other person’s show that you’re on. What would you do? If you’re a podcaster going on other shows and you want to get listeners to your podcast, your number one call to action is to get people over to your show. There are a lot of results that we want to happen when we’re a guest on a podcast like, “I want new clients and I want new listeners and I want more people to my website.” You’ve got to think about what is the big thing that you want because too many options and too many calls to action will leave people confused and not knowing which to choose. If you want to get people on other shows to come over and listen to your podcast, that’s got to be your call to action. Make it simple. Most people are listening to podcasts on their mobile device. They’re listening when they’re out, getting ready in the morning, at the gym. I would say when the host gives you that opportunity to connect, if you’re listening on your mobile device or even on your computer, go to your podcast app, search the name of your show, and hit subscribe or maybe give them a specific episode, “Go find episode 57,” whatever it is. Give them a specific episode to start with because that could help too. Maybe you’ve got great titles and people can figure out for themselves, but this is a big pitfall that I see a lot of podcasters make. They don’t title their episodes well or all you can see is, “Episode 20 of the such and such podcast,” and then it’s the title but nobody sees that. Give people a specific episode and tell them to subscribe so they don’t just look it up and forget about it. That’s what I would do. I would make that your specific call to action and then mention the podcast. Have it in conversation, not in a pitchy, salesy way. A few times in this conversation I’ve mentioned I have a podcast and it wasn’t like I’m sitting here going, “I’ve got to make sure people go listen to Rock the Podcast.” If it’s part of what you do, and you want to get more listeners, it’s got to be a part of the conversations that you’re having. If you’re also trying to get more clients, talk about the successes that you’ve had with your clients and mention, “I have a client who has done this and my client XYZ has done this and gotten this result.” That reinforces throughout the interview. You’re seeding before the offer at the end, which usually has to be a very soft offer. It’s like, “I’m happy to do a free gap analysis call with you if you’re interested in exploring SEO opportunities for your business.” Because you mentioned your client and your consulting practice throughout the interview, that drives home the point and helps get your intended outcome happening. Also do the same thing with your podcast. I make sure I seed my other show, The Optimized Geek, whenever I can in Marketing Speak in this show, because I know that there is a crossover. Not everybody sees it and they’re like, “I’m not interested in biohacking.” Who doesn’t want to live forever or at least a much longer time or have more health in the years that they have? There’s amazing stuff in that show. I make sure that I name drop and mention key episodes. The specific chapter is helpful because that’s an overwhelming number of pages. It works. I mentioned chapter seven, which is a chapter on content marketing. I say, “This is not an overly technical chapter. It’s easy to wrap your head around and you’re going to have fun reading it and you’re going to be able to implement some stuff right away.” That will get them some results, some benefit before they have to dig into the next chapter. Whereas if you start with chapter one, that sets the stage for things. You’re learning about a lot of terminologies. Where’s the result in that? It’s cool to start with chapter one usually, but it doesn’t get them an immediate result. Whether it’s a book or it’s an information product or an online course or even the first month of coaching or consulting, try and get them an immediate result within the first 30 days before your cancellation period, before your refund period. You mentioned that you have a content marketing calendar. How does that work? What does it look like? Walk us through this. We put a lot of our content marketing on hold for a while. We hired employees and we’re so busy in the transition from contractors to employees that our content marketing took a backseat to what we are doing in the business. Now that we’re a little freed up, we’ve got a great staff, we have more employees. We started planning out. We’ve got to get the podcast going again. We’ve got to start writing blogs and doing videos. My business partner and I just sat down. We have a big whiteboard and we jotted down. We first started with what are the frequently asked questions. What are the questions I get most on my calls with potential clients on my sales calls? What do people want to know and what would be most valuable to our current clients? We come up with topics based on what’s going to be most valuable to potential and current clients. We jot out those topics and then we also looked at we’ve got videos, blogs and podcast, what medium with this topic be best for us? We want to do a tour of podcast equipment because people are always asking you about microphones and stuff. We thought that would be a great video because we could do a video of all of our equipment and show people, whereas that might be a boring podcast to be listing a bunch of names of equipment. Some things are better on a podcast versus a blog. We brainstorm all the different topics. We also looked at who were the guests that would be great because I’m not the SEO expert. I definitely mention it as a benefit. That’s where we put your name on the board like, “Stephan will be a great person to bring on an interview about SEO because he knows so much. He refers people to us so that would be a great relationship to build.” We look at also who’s the best expert and who do we want to continue to have a relationship with? That’s how we do it and we have set every other week for the content. I did weekly content on blog and video podcast for a long time, but we’re doing every other week because we want to stick to a consistent schedule. Doing all three things every single week is too much to keep up with, so we do every other week. Eventually, you’ll be able to outsource or delegate all of the content marketing and not have to worry about it yourself. My Twitter feed is completely outsourced to a team member. I have no idea what I’m saying on Twitter and I don’t know what I’m saying on my blog either. I’ve outsourced that as well to my team. That’s definitely something that we’re looking at the next phase of team building, adding in people to help with sales and marketing. I used to outsource a lot of it. When I had a total virtual team, I had one of my team members helped me with the blog. Now that’s in-house, but I can definitely see that we can ramp up. We’ve never gotten that many clients from marketing but again, we’ve talked mostly about client retention here, which I know it’s useful for us. It’s always balancing priorities. Also there’s an indirect benefit here, even though you might not be able to point to a client that came out of a particular video you uploaded to LinkedIn. You posted that video to LinkedIn and let’s say that you’ve got a mention on some expert roundup. Somebody read that expert roundup and then they saw you at Podcast Movement like, “I know this person I know that name. That’s right, that was an expert roundup I read.” It’s an indirect thing and then you get links that happen because you posted it to LinkedIn or whatever. You’re not getting SEO benefit directly from the links because those are nofollowed. All the LinkedIn and all the social media nofollows every external link. YouTube and LinkedIn, Pinterest even, they all nofollow their external links. You’ll get noticed by somebody, a blogger who does a link with a followed link. What goes around comes around. I believe in business karma and you want to be a good citizen of the world and do good things. It comes back to help you. One thing I want to mention about LinkedIn and video is that you can add captioning. You upload your transcripts to LinkedIn and that’s a feature that most people are probably unaware of. You can create that caption file with YouTube, export that to an SRT file. Upload that to LinkedIn and now you have captions which are all searchable content that will help you with your visibility also in the LinkedIn algorithm. That’s a great ninja tip there for you. I didn’t know about that. I’m writing that down. That’s awesome. I love LinkedIn. I’ve definitely been more active on LinkedIn, not only with the ads but connecting with people and messaging. I use it as part of my sales follow-ups. I send people messages on LinkedIn. I love this tip. It’s so much more than just a resume database. LinkedIn has put a lot into building up their algorithm and the newsfeed and everything and going head to head with Facebook, but on a more professional environment. It’s a social network you should for sure invest in. What would you tell somebody who is thinking of doing this kind of podcast guest booking thing on the cheap? They want to maybe hire somebody on Upwork or maybe use a cheaper service. I don’t know what Interview Valet charges. I would hate getting those emails from Interview Valet because it was so obvious, they had never been to my website. They don’t know anything about my podcast. It irritates me and then I start seeing them at shows with a booth as well like, “Really? They’re here too?” What do you tell somebody who’s thinking of doing this on the cheap? You can definitely do this on the cheap. I would be very careful about a few different things. I would, number one, make sure whoever is doing this for you, you’ve got to have some standards in place and some agreements with whoever is pitching you. Make sure that they are doing their research and I would also go as far as to say approve of every show they’re pitching. We’ve added that into our service last year and it has been a game changer. It adds such a level of quality control and our booking agents are well-trained. We have a very high approval rate of the shows that we’re pitching but it adds that extra level where the client can say, “This is a great show. You could tell them that I’m in their Facebook group. I don’t want to be on the show for this reason.” It’s not something that we would have known without checking with them. It’s so important because your reputation is at stake. You can’t do podcasting on the cheap. Think what is the cost of trying to save a couple of bucks. People don’t pitch Rock the Podcast that much, but sometimes I will get pitches and it makes the person they’re pitching looks so bad. I’ve seen too often where people will get a bad pitch from some VA or something or an agency and then the podcaster will go directly to the guest that is being pitched and be like, “You look so bad right now because they sent this trash can pitch and it makes you look bad.” I would be so careful. You can’t do this on the cheap. You can hire someone, you can have an employee do it. I would think about what is the cost of trying to save a couple of bucks. What is the cost of your reputation if they mess up, if they pitch a show that doesn’t take guests or that hasn’t done their research. You can do it yourself. Sometimes with bigger shows, it helps to personally reach out and build a relationship with that host directly. You could invest a little bit of time into your week to reach out and build relationships with the host and get yourself on the show. One thing that is a pet peeve for me and probably a fair number of other podcasters is to receive pitches that are full of typos and grammatical errors and stuff. I don’t want to have somebody on my show who doesn’t know how to speak or write or type, even if it’s the assistant to the person because that represents you and your brand. We’re all humans, we’ve had a few times when someone’s made a typo and we take it seriously. We have seen that that’s such an important part of the job of pitching that when we’re hiring employees, when they apply to the job, they send a cover letter. We are so strict that if there is one typo on the cover letter, we don’t even contact them. If you’re applying for a job and you have a typo in your cover letter, it’s over. That is the most important thing you’re writing to get the job. We’ve had such a high standard for that. Everyone makes mistakes. I’m sure there’s been one typo here or there, but I definitely agree that that is so important. We’re big on proofreading and a lot of our booking agents went to college for writing, have Master’s degrees in literature and things like that. They probably all have Grammarly installed, I hope. I love Grammarly. I catch stuff with Grammarly. I love it and I have a pretty high standard for myself. Everyone has that slip and you type the wrong letter. Grammarly is amazing. What would be a unique way to stand out when you’re pitching a podcaster? Is it some angle that you’re using? Is it maybe an attachment you’re sending? A one-sheet is great but it’s not that unique these days. What I would say is to make your email personalized and add some personality to it. We brought in an improv comedian to do a training with our staff on comedy writing. Not that every pitch is going to be a work of comedy, but it helped our booking agents learn how to write in a more entertaining way. We’ve gotten responses from people that are like, “I get pitched all the time but I’m replying to you because this honestly made me laugh.” You put a smile on the person’s face. I would unbutton that figurative shirt a little bit and loosen up. Write a pitch that’s going to make the host smile and be entertained by you and see that, “An interview with this person would be entertaining for my listeners,” because it’s not always about content. It’s about interviewing somebody that’s going to be enjoyable to talk to for an hour. Make your email personalized and add some personality to it. Where do people go to work with you and get your awesome team to book them on podcasts? InterviewConnections.com. You can learn all about us. We’ve got bios of all of our staff members that I’ve been talking about and if you’re interested, fill out the application and we’ll reach out. We can have a call. Thank you, Jessica. This was fabulous and we will catch you on the next episode of Marketing Speak. Until then, take care. ☑ Do my homework and take the time to research on what information my clients want to know. Make it worth their time where I can share valuable information with my clients. 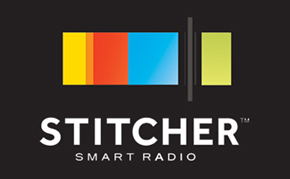 ☑ Become a guest on other podcast shows as well by reaching out to other hosts with similar or related niches. ☑ Create a well-designed one-sheet. It’s a one-page PDF that has my bio written in third person and has three to five interview topics in bullet points. ☑ Send my one-sheet to the host beforehand so they can also prepare. IT should have my contact information, website, social media links, and most importantly my Skype name. ☑ Familiarize myself with different interview channels. Jessica recommends Skype for better sound quality and also Zencastr. ☑ Pay attention to details and quality of the content I’m presenting. Use tools like Grammarly when proofreading. ☑ Invest in relationship building. Each interview is a great opportunity to create a lasting relationship with my podcast guests. ☑ Equip myself in becoming a better speaker by prioritizing more on providing the best experience to my listeners and less about the show’s viewership ranking. ☑ Make sure to provide a high-impact closing statement by the end of the interview. The end of the show gives me the opportunity to let the audience know what I can do to help them and where to find me. 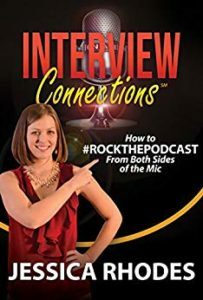 ☑ Grab a copy of Jessica’s book Interview Connections: How to #ROCKTHEPODCAST from Both Sides of the Mic. 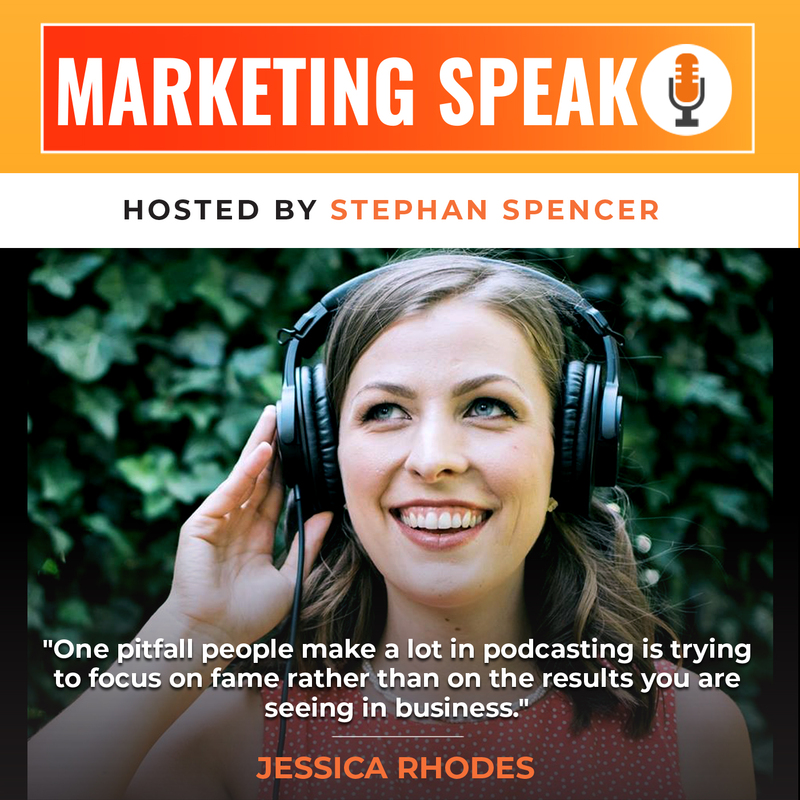 Jessica is the founder and equal co-owner of Interview Connections, the leading guest booking agency for podcasters and guest experts. She has scaled the business quickly to high multiple six figures, with nearly no direct marketing or ads, and will break through the 7-figure mark in 2018. Jessica and her in-house team of Booking Agents are the podcast powerhouses behind many of the record-breaking book launches you’ve seen today, with clients such as JJ Virgin, Perry Marshall, other authors you may know, and numerous PR agencies who hire them for their podcasting savvy and booking skills. 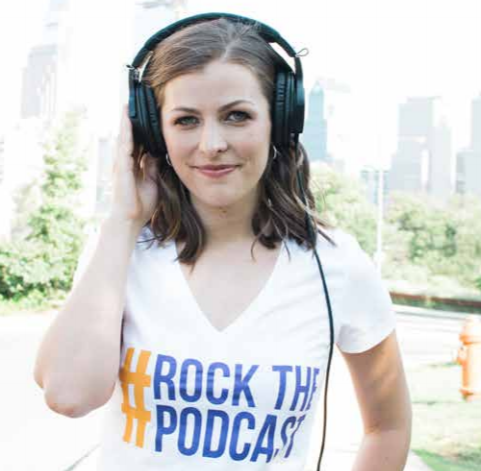 Jessica started podcasting in 2014 with the launch of Rock The Podcast and also co-hosts The Podcast Producers and Womensplaining. 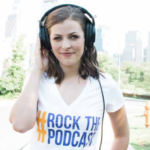 She is the acclaimed author of Interview Connections: How to #RockThePodcast From Both Sides of the Mic! and has been a featured speaker at Podcast Movement, Podfest Multimedia Expo, and Dream Business Academy. She is married and is the mom of two kids, Nathan and Lucy.